Curator and Interviewer: Stephen J. Williams, Ph.D. This post is the second in a series of posts highlighting interviews with Philadelphia area biotech startup CEO’s and show how a vibrant biotech startup scene is evolving in the city as well as the Delaware Valley area. Philadelphia has been home to some of the nation’s oldest biotechs including Cephalon, Centocor, hundreds of spinouts from a multitude of universities as well as home of the first cloned animal (a frog), the first transgenic mouse, and Nobel laureates in the field of molecular biology and genetics. Although some recent disheartening news about the fall in rankings of Philadelphia as a biotech hub and recent remarks by CEO’s of former area companies has dominated the news, biotech incubators like the University City Science Center and Bucks County Biotechnology Center as well as a reinvigorated investment community (like PCCI and MABA) are bringing Philadelphia back. And although much work is needed to bring the Philadelphia area back to its former glory days (including political will at the state level) there are many bright spots such as the innovative young companies as outlined in these posts. In today’s post, I had the opportunity to talk with molecular modeler Charles H. Reynolds, Ph.D., founder and CEO of Gfree Bio LLC, a computational structure-based design and modeling company based in the Pennsylvania Biotech Center of Bucks County. Gfree is actually one of a few molecular modeling companies at the Bucks County Biotech Center (I highlighted another company RabD Biotech which structural computational methods to design antibody therapeutics). LPBI: Could you briefly explain, for non-molecular modelers, your business and the advantages you offer over other molecular modeling programs (either academic programs or other biotech companies)? As big pharma outsources more are you finding that your company is filling a needed niche market? GfreeBio: Gfree develops and deploys innovative computational solutions to accelerate drug discovery. We can offer academic labs a proven partner for developing SBIR/STTR proposals that include a computational or structure-based design component. This can be very helpful in developing a successful proposal. We also provide the same modeling and structure-based design input for small biotechs that do not have these capabilities internally. Working with Gfree is much more cost-effective than trying to develop these capabilities internally. We have helped several small biotechs in the Philadelphia region assess their modeling needs and apply computational tools to advance their discovery programs. (see publication and collaboration list here). LPBI: Could you offer more information on the nature of your 2014 STTR award? GfreeBio: Gfree has been involved in three successful SBIR/STTR awards in 2014. I am the PI for an STTR with Professor Burgess of Texas A&M that is focused on new computational and synthetic approaches to designing inhibitors for protein-protein interactions. Gfree is also collaborating with the Wistar Institute and Phelix Therapeutics on two other Phase II proposals in the areas of oncology and infectious disease. LPBI: Why did you choose the Bucks County Pennsylvania Biotechnology Center? GfreeBio: I chose to locate my company at the Biotech Center because it is a regional hub for small biotech companies and it provides a range of shared resources that are very useful to the company. Many of my most valuable collaborations have resulted from contacts at the center. LPBI: The Blumberg Institute and Natural Products Discovery Institute has acquired a massive phytochemical library. How does this resource benefit the present and future plans for GfreeBio? GfreeBio: To date Gfree Bio has not been an active collaborator with the Natural Products Insititute, but I have a good relationship with the Director and that could change at any time. LPBI: Was the state of Pennsylvania and local industry groups support GfreeBio’s move into the Doylestown incubator? Has the partnership with Ben Franklin Partners and the Center provided you with investment and partnership opportunities? GfreeBio: Gfree Bio has not been actively seeking outside investors, at least to date. We have been focused on growing the company through collaborations and consulting relationships. However, we have benefitted from being part of the Keystone Innovation Zone, a state program that provides incentives for small technology-based businesses in Pennsylvania. LPBI: You will be speaking at a conference in the UK on reinventing the drug discovery process through tighter collaborations between biotech, academia, and non-profit organizations. How do you feel the Philadelphia area can increase this type of collaboration to enhance not only the goals and missions of nonprofits, invigorate the Pennsylvania biotech industry, but add much needed funding to the local academic organizations? GfreeBio: I think this type of collaboration across sectors appears to be one of the most important emerging models for drug discovery. The Philadelphia region has been in many ways hard hit by the shift of drug discovery from large vertically integrated pharmaceutical companies to smaller biotechs, since this area was at the very center of “Big Pharma.” But I think the region is bouncing back as it shifts more to being a center for biotech. The three ingredients for success in the new pharma model are great universities, a sizeable talent pool, and access to capital. The last item may be the biggest challenge locally. The KIZ program (Keystone Innovation Zone) is a good start, but the region and state could do more to help promote innovation and company creation. Some other states are being much more aggressive. LPBI: In addition, the Pennsylvania Biotechnology Center in Bucks County appears to have this ecosystem: nonprofit organizations, biotechs, and academic researchers. Does this diversity of researchers/companies under one roof foster the type of collaboration needed, as will be discussed at the UK conference? Do you feel collaborations which are in close physical proximity are more effective and productive than a “virtual-style” (online) collaboration model? Could you comment on some of the collaborations GfreeBio is doing with other area biotechs and academics? GfreeBio: I do think the “ecosystem” at the Pennsylvania Biotechnology Center is important in fostering new innovative companies. It promotes collaborations that might not happen otherwise, and I think close proximity is always a big plus. As I mentioned before, many of the current efforts of Gfree have come from contacts at the center. This includes SBIR/STTR collaborations and contract work for local small biotech companies. LPBI: Thompson Reuters just reported that China’s IQ (Innovation Quotient) has risen dramatically with the greatest patents for pharmaceuticals and compounds from natural products. Have you or your colleagues noticed more competition or business from Chinese pharmaceutical companies? GfreeBio: The rise of Asia, particularly China, has been one of the most significant recent trends in the pharmaceutical industry. Initially, this was almost exclusively in the CRO space, but now China is aggressively building a fully integrated domestic pharmaceutical industry. 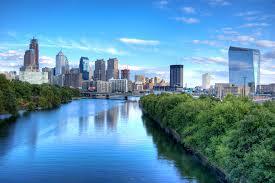 LPBI: How can the Philadelphia ecosystem work closer together to support greater innovation? GfreeBio: A lot has happened in recent years to promote innovation and company creation in the region. There could always be more opportunities for networking and collaboration within the Philadelphia community. Of course the biggest obstacle in this business is often financing. 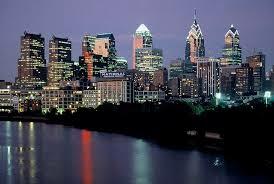 Philadelphia needs more public and private sources for investment in startups. LPBI: Thank you Dr. Reynolds. Also, if you would like your Philadelphia biotech startup to be highlighted in this series please contact me: sjwilliamspa@comcast.net or @StephenJWillia2. Our site is read by ~ 570,000 readers, among them thousand international readers daily and followed by thousands of Twitter followers. considerably, it has become apparent that the search for a driver or drivers of cellular signaling and metabolic pathways could not depend on a full clarity of the genome. There have been unresolved issues, that are not solely comprehended from assumptions about mutations. activity, and by the air we breathe and the water we drink. expression, the pH dependent effects on protein binding and conformation. called organelles, the cytoplasm, and in the cytoskeleton. interprets and integrates the complex data they are acquiring. RAbD is a new biotechnology company founded by Fox Chase Cancer Center investigators Gregory Adams, Ph.D., Matthew Robinson, Ph.D. and Roland Dunbrack, Ph.D. that is focused on the knowledge-based design of antibodies that bind to key functional, often highly conserved and difficult to target epitopes. We are using homology modeling, crystal structures, protein docking and design software and algorithms to drive combinatorial sampling of CDRs to computationally design new antibodies and then express, validate and perform further design in an iterative manner.Brian Smith, Ph.D., MBA is RAbD Biotech’s Business Development Lead. The company using in silico design methods to design to produce novel antibodies and biomimetics. The company is developing a first in class biomimetic, RaD-003, for the treatment of ovarian cancer. Ovarian cancer is one of the most deadly of all women’s cancers, with very low 5 year survival rates. An expected 22,000 US women a year will be diagnosed and expected 16,000 will die every year. Cisplatin/paclitaxel therapy is only approved and effective chemotherapy for ovarian cancer yet resistance develops quickly and is common. RaD-003 targets the MISII receptor (Mullerian Inhibiting Substance Type II Receptor), which is expressed on ovarian cancer cells but not on normal ovarian epithelium. It has been shown that activation of this receptor by the Mullerian Inhibiting Substance (MIS) has antitumor activity in ovarian cancer. Therefore, the company used their computational platform to produce a “first in class” chimeric biomimetic to more effectively target and activate MISIIR. In Part I of metabolomics of two leukemia cell lines, we have established a major premise for the study, an insight into the use of an experimental model, and some insight into questions raised. I here return to examine these before pursuing more detail in the study. Q1. What strong metabolic pathways come into focus in this study? Answer – The aerobic and anaerobic glycolytic pathways, with a difference measured in the extent of participation of mitochondrial oxidative phosphorylation. Q2. Would we expect to also gain insight into the effect, on balance, played by a suppressed ubiquitin pathway? Answer – lets look into this in Part II. Q3. Would the synthesis of phospholipid and the maintenance of membrane structures requires availability of NADPH, which would be a reversal of the TCA cycle at the cost of delta G in catabolic energy, be consistent with increased dependence of anaerobic glycolysis with unchecked replication? Answer: Part II might show this, as the direction and the difference between the cell lines is consistent with a Warburg (Pasteur) effect. Recall the observation that the model is based on experimental results from lymphocytic leukemia cell lines in cell culture. The internal metabolic state is inferred from measurement of external metabolites. The classification of the lymphocytic leukemias in humans is based on T-cell and B-cell lineages, but actually uses cell differentiation (CD) markers on the cytoskeleton for recognition. It is only a conjecture that if the cells line were highly anaplastic, they might not be sustainable in cell culture in perpetuity. regarding metabolites exchanged between cells and their environment. the model predictions (Fig. 1A). based on two lymphoblastic leukemia cell lines. by predicting the distinct utilization of central metabolic pathways by the two cell lines. our predictions suggested a more respiratory phenotype for the Molt-4 model. they were also consistent with data regarding the energy and redox states of the cells. derived from model generation and analysis will be described in detail. serum- free medium (File S2, Fig. S1). Multiple omics data sets were derived from these cells. these data sets were used to construct the models. we evaluated the reactions, metabolites, and genes of the two models. half of the reactions and metabolites present in the global model (Fig. 1C). genes (File S1, Table S5A–C). (Co-A biosynthesis pathway and exchange reactions). Approximately three quarters of the global model genesremained in the condition-specific cell line models (Fig. 1C). 4 unique genes (File S1, Table S5C). (NDUFB3, Entrez gene ID 4709). complex I and complex II (succinate dehydrogenase). in the two condition-specific cell line models. (Fig. 1B and see “Materials and methods” section for more detail). of each model using an Artificial Centering Hit-and-Run (ACHR) sampler (Thiele et al. 2005). the quantitative differences in commonly uptaken and secreted metabolites. (Fig. 1D, see “Materials and methods” section). a particular reaction can have a certain flux value. 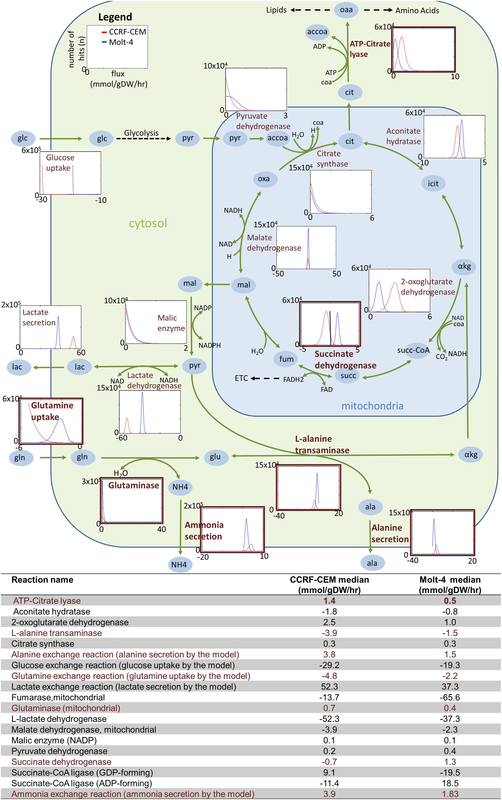 a higher utilization of glycolysis by the CCRF-CEM model (File S2, Fig. S2). in medians calculated from sampling points (File S1, Table S6). 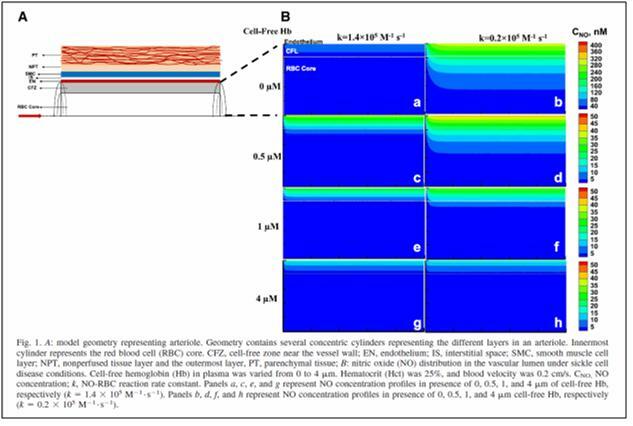 the extracellular medium in CCRF-CEM cells. in the CCRF-CEM model than in Molt-4 model (File S2, Fig. S2). The usage of the TCA cycle was also distinct in the two condition-specific cell-line models (Fig. 2). the models used succinate dehydrogenase differently (Figs. 2, 3). toward the generation of succinate. amino acid and lipid metabolism in the CCRF-CEM model (Fig. 2). which contributed to higher oxidative metabolism. central metabolic pathways by the condition-specific models. Differences in the use of the TCA cycle by the CCRF-CEM model (red) and the Molt-4 model (blue). describe reversible reactions with flux in the reverse direction. These reactions are unbounded, and therefore histograms are not shown. The details of participating cofactors have been removed. oxa oxaloacetate, pyr pyruvate, lac lactate, ala alanine, gln glutamine, ETC electron transport chain. contains supplementary material, which is available to authorized users. Different distributions are observed for the CCRF-CEM model (red) and the Molt-4 model (blue). Molt-4 has higher median flux through ETC reactions II–IV. reversible reactions with flux in the reverse direction. arising from the mapping of transcriptomic data. to maintain redox homeostasis to proliferate (Cairns et al. 2011). the in silico predicted metabolic differences (Fig. 4). to evaluate the cellular antioxidant status (Fig. 4B). Total concentrations of NADH + NAD, GSH + GSSG, NADPH + NADP and ATP, were higher in Molt-4 cells (Fig. 4A). low reactions fluxes (Fig. 4A). the higher ATP concentrations measured (Fig. 4L). since we are modeling at steady-state. glycolysis and 2-oxoglutarate dehydrogenase in the CCRF-CEM model (Fig. 4L). A–K Experimentally determined ATP, NADH + NAD, NADPH + NADP, and GSH + GSSG concentrations, and ROS detoxification in the CCRF-CEM and Molt-4 cells. compared to the flux differences observed in the models. were associated with reactions more utilized by the Molt-4 model. the set of 49 upregulated genes was associated with 113 reactions in the models. if the difference in flux exceeded 10 % (considering only non-loop reactions). 2.65 % were more utilized by the Molt-4 model (File S1, Table S7). were more utilized in the CCRF-CEM model (File S1, Table S8). upregulated in CCRF-CEM were more utilized by the CCRF-CEM model. this was the case for 77.55 % of the upregulated genes. were more utilized by the Molt-4 model. cells were generally more utilized by the CCRF-CEM model. to be distinctively utilized by the two models. Full lists of DEGs and AS are provided in the supplementary material. in agreement with the higher in silico predicted flux. was significantly upregulated in Molt-4 cells relative to CCRF-CEM cells. in contrast to the predicted higher utilization of glycolysis in the CCRF-CEM model. was an AS gene (Table 1). was RBKS (Entrez Gene ID: 64080). because of the lack of ribose uptake or secretion. Single AS genes were associated with different complexes of the ETC (Table 1). connected to cancer metabolism and signaling. accumulation of metabolite transporters among the AS. increases the plausibility of the in silico predictions. to predict candidate drug targets for cancer cells (Folger et al. 2011). for each condition-specific cell line model. distinct sets of KO genes for the CCRF-CEM model (11 genes) and the Molt-4 model (3 genes). the genes were only present in the CCRF-CEM model (File S1, Table S9). related to the cell-line-specific differences in metabolite uptake and secretion (Fig. 1B). to subsequently produce 5-methylthioadenosine for secretion (Fig. 1B). is a substrate required for generation of 5-methylthioadenosine. glutamic-oxaloacetic transaminase 1 (GOT1, Entrez Gene ID: 2805). which is produced only by that enzyme. while generating NADH from NAD+. (Locasale et al. 2011; Vander Heiden 2011; Vazquez et al. 2011). underlining the potential importance of these reactions for the models. specifically targeted to kill these cells. the human genome-scale reconstruction to facilitate analysis. we derived insights that could not have been obtained from data analysis alone. that were able to explain the observed exo-metabolomic differences (Fig. 1B). providing confidence in the generated models and the model-based predictions. to identify weak links in each model. These weak links may represent potential drug targets. 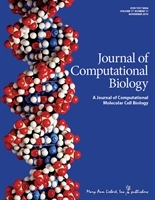 into the metabolic aspects of omics data sets. although it is an active field of research (Li et al. 2013; Paglia et al. 2012b). many experimental conditions and extensive manual curation. assess the metabolic characteristics of cells. which could be useful for biomedicine and personalized health. with particular metabolic characteristics respond to drugs. with as few additional metabolite exchanges as possible. which pathways can be utilized by the model. more significant reduction may be achieved using different data. by using additional omics data, such as transcriptomics and proteomics. such as GIMME (Becker and Palsson 2008). which model-building method is best depends on the available data. did not yield the same insights as presented herein (File S1, Table S18). gene expression microarray data (Schmidt et al. 2013). relative differences in the exo-metabolomic data of two cell lines. emphasized on intracellular metabolomics data (Schmidt et al. 2013). The metabolic differences predicted by the models are generally plausible. may vary (Zu and Guppy 2004). to the environmental conditions (Suganuma et al. 2010). several analyses to validate the models and model predictions. relevant to energy and redox state were largely met (Fig. 4L). matching the known Warburg phenotype. tumor progression (Dreher and Junod1996; Ha et al. 2000). provided a consistent picture of the predicted respiratory phenotype (Fig. 4L). are not well understood (Ogasawara et al.2009). this was confirmed in the Molt-4 cells (Fig. 4). a greater reliance on oxidative metabolism. (Cortes-Cros et al. 2013; Marin-Hernandez et al. 2009). seemed to be differentially regulated (Table 1). demonstrate the potential of the integration of exo-metabolomic data into the network context. the utilization AS gene-associated reaction. 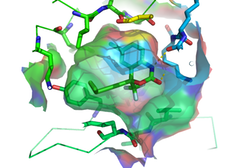 only one of multiple subunits of a protein complex was concerned. which are out of the scope of constraint-based steady-state modeling. informed hypothesis that can guide experimental work. involved in metabolic differences between cells. peripheral metabolic pathways are considered. could be useful in future studies (Mardinoglu et al. 2013). a lethal KO gene for the Molt-4 model only. (Locasale et al.2011; Vander Heiden 2011; Vazquez et al. 2011). can identify the metabolic pathways used by cancer cells. This approach can provide valuable information for drug discovery. metabolic models that agreed in many ways with the validation data sets. for drug discovery in general. Metabolon®, Inc. (Durham, NC, USA) using a standardized analytical platform. pathway information was available for most of these metabolites (File S1, Tables S2–S3). from what was observed in the control (File S1, Tables S2–S3). the course of the experiment. no quantitative constraints were applied for the sampling analysis either. (exchange not detected in Molt-4 cells). (Sahoo et al. 2014; Thiele et al. 2013). but whose extracellular transport was not yet accounted for. Diffusion reactions were included whenever a respective transporter could not be identified. were added to the global model (File S1, Table S10). the 1,278 model genes (File S1, Table S12). Expression Omnibus (GEO) database (Accession number: GSE53123). transcriptomic data using the COBRA toolbox (Schellenberger et al. 2011). Ganske, F., & Dell, E. J. (2006). ORAC assay on the FLUOstar OPTIMA to determine antioxidant capacity. BMG LABTECH. Target genomes and multiple nucleotide sequences involved in either coding or in regulation that might have an impact on complex diseases, not necessarily genetic in nature. Target signaling pathways that are demonstrably maladjusted, activated or suppressed in many common and complex diseases, or in their progression. Enable a reduction in failure due to toxicities in the later stages of clinical drug trials as a result of this science-based understanding. Enable a reduction in complications from the improvement of machanical devices that have already had an impact on the practice of interventional procedures in cardiology, cardiac surgery, and radiological imaging, as well as improving laboratory diagnostics at the molecular level. Enable the discovery of new drugs in the continuing emergence of drug resistance. Enable the construction of critical pathways and better guidelines for patient management based on population outcomes data, that will be critically dependent on computational methods and large data-bases. 1. The importance of mitochondrial function in the activity state of the mitochondria in cellular work (combustion) is understood, and impairments of function are identified in diseases of muscle, cardiac contraction, nerve conduction, ion transport, water balance, and the cytoskeleton – beyond the disordered metabolism in cancer. A more detailed explanation of the energetics that was elucidated based on the electron transport chain might also be in order. 2. The processes that are enabling a more full application of technology to a host of problems in the environment we live in and in disease modification is growing rapidly, and will change the face of medicine and its allied health sciences. http://www.ibiology.org Lecturers generously donate their time to prepare these lectures. The project is funded by NSF and NIGMS, and is supported by the ASCB and HHMI. Dr. Prather explains that synthetic biology involves applying engineering principles to biological systems to build “biological machines”. Prather 1: Synthetic Biology and Metabolic Engineering 2/6/14IntroductionLecture Overview In the first part of her lecture, Dr. Prather explains that synthetic biology involves applying engineering principles to biological systems to build “biological machines”. The key material in building these machines is synthetic DNA. Synthetic DNA can be added in different combinations to biological hosts, such as bacteria, turning them into chemical factories that can produce small molecules of choice. In Part 2, Prather describes how her lab used design principles to engineer E. coli that produce glucaric acid from glucose. Glucaric acid is not naturally produced in bacteria, so Prather and her colleagues “bioprospected” enzymes from other organisms and expressed them in E. coli to build the needed enzymatic pathway. Prather walks us through the many steps of optimizing the timing, localization and levels of enzyme expression to produce the greatest yield. Speaker Bio: Kristala Jones Prather received her S.B. degree from the Massachusetts Institute of Technology and her PhD at the University of California, Berkeley both in chemical engineering. Upon graduation, Prather joined the Merck Research Labs for 4 years before returning to academia. Prather is now an Associate Professor of Chemical Engineering at MIT and an investigator with the multi-university Synthetic Biology Engineering Reseach Center (SynBERC). Her lab designs and constructs novel synthetic pathways in microorganisms converting them into tiny factories for the production of small molecules. Dr. Prather has received numerous awards both for her innovative research and for excellence in teaching. as diverse as contraction, metabolism, apoptosis, proliferation and/or hypertrophic growth. The mechanisms responsible for generating a Ca signal greatly differ from one cell type to another. In the different types of vascular smooth muscle cells (VSMC), enormous variations do exist with regard to the mechanisms responsible for generating Ca signal. In each VSMC phenotype (synthetic/proliferating and contractile , tonic or phasic), the Ca signaling system is adapted to its particular function and is due to the specific patterns of expression and regulation of Ca. For instance, in contractile VSMCs, the initiation of contractile events is driven by mem- brane depolarization; and the principal entry-point for extracellular Ca is the voltage-operated L-type calcium channel (LTCC). In contrast, in synthetic/proliferating VSMCs, the principal way-in for extracellular Ca is the store-operated calcium (SOC) channel. sensitivity of SR calcium channels, Ryanodin Receptor, RyR and Inositol tri-Phosphate Receptor, IP3R. Synthetic VSMCs have a fibroblast appearance, proliferate readily, and synthesize increased levels of various extracellular matrix components, particularly fibronectin, collagen types I and III, and tropoelastin . Contractile VSMCs have a muscle-like or spindle-shaped appearance and well-developed contractile apparatus resulting from the expression and intracellular accumulation of thick and thin muscle filaments . Figure 1. Schematic representation of Calcium Cycling in Contractile and Proliferating VSMCs. Left panel: schematic representation of calcium cycling in quiescent /contractile VSMCs. Contractile re-sponse is initiated by extracellular Ca influx due to activation of Receptor Operated Ca (through phosphoinositol-coupled receptor) or to activation of L-Type Calcium channels (through an increase in luminal pressure). Small increase of cytosolic due IP3 binding to IP3R (puff) or RyR activation by LTCC or ROC-dependent Ca influx leads to large SR Ca IP3R or RyR clusters (“Ca -induced Ca SR calcium pumps (both SERCA2a and SERCA2b are expressed in quiescent VSMCs), maintaining high concentration of cytosolic Ca and setting the sensitivity of RyR or IP3R for the next spike. Contraction of VSMCs occurs during oscillatory Ca transient. Middle panel: schematic representa tion of atherosclerotic vessel wall. Contractile VSMC are located in the media layer, synthetic VSMC are located in sub-endothelial intima. Right panel: schematic representation of calcium cycling in quiescent /contractile VSMCs. Agonist binding to phosphoinositol-coupled receptor leads to the activation of IP3R resulting in large increase in cytosolic Ca calcium pumps (only SERCA2b, having low turnover and low affinity to Ca depletion leads to translocation of SR Ca sensor STIM1 towards PM, resulting in extracellular Ca influx though opening of Store Operated Channel (CRAC). Resulted steady state Ca transient is critical for activation of proliferation-related transcription factors ‘NFAT). Abbreviations: PLC – phospholipase C; PM – plasma membrane; PP2B – Ca /calmodulin-activated protein phosphatase 2B (calcineurin); ROC- receptor activated channel; IP3 – inositol-1,4,5-trisphosphate, IP3R – inositol-1,4,5- trisphosphate receptor; RyR – ryanodine receptor; NFAT – nuclear factor of activated T-lymphocytes; VSMC – vascular smooth muscle cells; SERCA – sarco(endo)plasmic reticulum Ca sarcoplasmic reticulum. I’ll start with the productivity plot, as this one isn’t new. For a discussion of the substantial performance increase in sequencing compared to Moore’s Law, as well as the difficulty of finding this data, please see this post. If nothing else, keep two features of the plot in mind: 1) the consistency of the pace of Moore’s Law and 2) the inconsistency and pace of sequencing productivity. Illumina appears to be the primary driver, and beneficiary, of improvements in productivity at the moment, especially if you are looking at share prices. It looks like the recently announced NextSeq and Hiseq instruments will provide substantially higher productivities (hand waving, I would say the next datum will come in another order of magnitude higher), but I think I need a bit more data before officially putting another point on the plot. Illumina’s instruments are now responsible for such a high percentage of sequencing output that the company is effectively setting prices for the entire industry. Illumina is being pushed by competition to increase performance, but this does not necessarily translate into lower prices. It doesn’t behoove Illumina to drop prices at this point, and we won’t see any substantial decrease until a serious competitor shows up and starts threatening Illumina’s market share. The absence of real competition is the primary reason sequencing prices have flattened out over the last couple of data points. Note that the oligo prices above are for column-based synthesis, and that oligos synthesized on arrays are much less expensive. However, array synthesis comes with the usual caveat that the quality is generally lower, unless you are getting your DNA from Agilent, which probably means you are getting your dsDNA from Gen9. 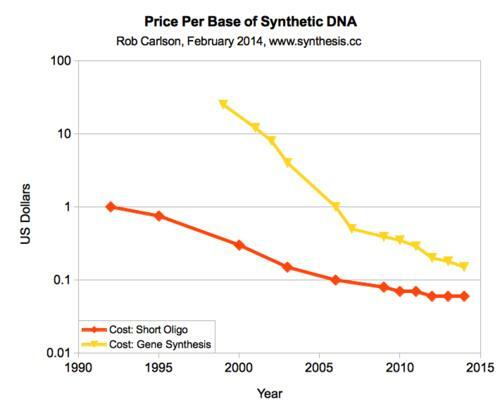 Note also that the distinction between the price of oligos and the price of double-stranded sDNA is becoming less useful. Whether you are ordering from Life/Thermo or from your local academic facility, the cost of producing oligos is now, in most cases, independent of their length. That’s because the cost of capital (including rent, insurance, labor, etc) is now more significant than the cost of goods. Consequently, the price reflects the cost of capital rather than the cost of goods. Moreover, the cost of the columns, reagents, and shipping tubes is certainly more than the cost of the atoms in the sDNA you are ostensibly paying for. Once you get into longer oligos (substantially larger than 50-mers) this relationship breaks down and the sDNA is more expensive. But, at this point in time, most people aren’t going to use longer oligos to assemble genes unless they have a tricky job that doesn’t work using short oligos. Looking forward, I suspect oligos aren’t going to get much cheaper unless someone sorts out how to either 1) replace the requisite human labor and thereby reduce the cost of capital, or 2) finally replace the phosphoramidite chemistry that the industry relies upon. IDT’s gBlocks come at prices that are constant across quite substantial ranges in length. Moreover, part of the decrease in price for these products is embedded in the fact that you are buying smaller chunks of DNA that you then must assemble and integrate into your organism of choice. Someone who has purchased and assembled an absolutely enormous amount of sDNA over the last decade, suggested that if prices fell by another order of magnitude, he could switch completely to outsourced assembly. This is a potentially interesting “tipping point”. However, what this person really needs is sDNA integrated in a particular way into a particular genome operating in a particular host. The integration and testing of the new genome in the host organism is where most of the cost is. Given the wide variety of emerging applications, and the growing array of hosts/chassis, it isn’t clear that any given technology or firm will be able to provide arbitrary synthetic sequences incorporated into arbitrary hosts. Dr. Jon Rowley and Dr. Uplaksh Kumar, Co-Founders of RoosterBio, Inc., a newly formed biotech startup located in Frederick, are paving the way for even more innovation in the rapidly growing fields of Synthetic Biology and Regenerative Medicine. Synthetic Biology combines engineering principles with basic science to build biological products, including regenerative medicines and cellular therapies. Regenerative medicine is a broad definition for innovative medical therapies that will enable the body to repair, replace, restore and regenerate damaged or diseased cells, tissues and organs. Regenerative therapies that are in clinical trials today may enable repair of damaged heart muscle following heart attack, replacement of skin for burn victims, restoration of movement after spinal cord injury, regeneration of pancreatic tissue for insulin production in diabetics and provide new treatments for Parkinson’s and Alzheimer’s diseases, to name just a few applications. NHMU Lecture featuring – J. Craig Venter, Ph.D. Founder, Chairman, and CEO – J. Craig Venter Institute; Co-Founder and CEO, Synthetic Genomics Inc.
J. Craig Venter, Ph.D., is Founder, Chairman, and CEO of the J. Craig Venter Institute (JVCI), a not-for-profit, research organization dedicated to human, microbial, plant, synthetic and environmental research. He is also Co-Founder and CEO of Synthetic Genomics Inc. (SGI), a privately-held company dedicated to commercializing genomic-driven solutions to address global needs. In 1998, Dr. Venter founded Celera Genomics to sequence the human genome using new tools and techniques he and his team developed. This research culminated with the February 2001 publication of the human genome in the journal, Science. Dr. Venter and his team at JVCI continue to blaze new trails in genomics. They have sequenced and a created a bacterial cell constructed with synthetic DNA, putting humankind at the threshold of a new phase of biological research. Whereas, we could previously read the genetic code (sequencing genomes), we can now write the genetic code for designing new species. The science of synthetic genomics will have a profound impact on society, including new methods for chemical and energy production, human health and medical advances, clean water, and new food and nutritional products. One of the most prolific scientists of the 21st century for his numerous pioneering advances in genomics, he guides us through this emerging field, detailing its origins, current challenges, and the potential positive advances. Where Will the Century of Biology Lead Us? A technology trend analyst offers an overview of synthetic biology, its potential applications, obstacles to its development, and prospects for public approval. In addition to boosting the economy, synthetic biology projects currently in development could have profound implications for the future of manufacturing, sustainability, and medicine. Before society can fully reap the benefits of synthetic biology, however, the field requires development and faces a series of hurdles in the process. Do researchers have the scientific know-how and technical capabilities to develop the field? Bioengineers aim to build synthetic biological systems using compatible standardized parts that behave predictably. Bioengineers synthesize DNA parts—oligonucleotides composed of 50–100 base pairs—which make specialized components that ultimately make a biological system. As biology becomes a true engineering discipline, bioengineers will create genomes using mass-produced modular units similar to the microelectronics and computer industries. Currently, bioengineering projects cost millions of dollars and take years to develop products. For synthetic biology to become a Schumpeterian revolution, smaller companies will need to be able to afford to use bioengineering concepts for industrial applications. This will require standardized and automated processes. A major challenge to developing synthetic biology is the complexity of biological systems. When bioengineers assemble synthetic parts, they must prevent cross talk between signals in other biological pathways. Until researchers better understand these undesired interactions that nature has already worked out, applications such as gene therapy will have unwanted side effects. Scientists do not fully understand the effects of environmental and developmental interaction on gene expression. Currently, bioengineers must repeatedly use trial and error to create predictable systems. Similar to physics, synthetic biology requires the ability to model systems and quantify relationships between variables in biological systems at the molecular level. The second major challenge to ensuring the success of synthetic biology is the development of enabling technologies. With genomes having billions of nucleotides, this requires fast, powerful, and cost-efficient computers. Moore’s law, named for Intel co-founder Gordon Moore, posits that computing power progresses at a predictable rate and that the number of components in integrated circuits doubles each year until its limits are reached. Since Moore’s prediction, computer power has increased at an exponential rate while pricing has declined. DNA sequencers and synthesizers are necessary to identify genes and make synthetic DNA sequences. Bioengineer Robert Carlson calculated that the capabilities of DNA sequencers and synthesizers have followed a pattern similar to computing. This pattern, referred to as the Carlson Curve, projects that scientists are approaching the ability to sequence a human genome for $1,000, perhaps in 2020. Carlson calculated that the costs of reading and writing new genes and genomes are falling by a factor of two every 18–24 months. (see recent Carlson comment on requirement to read and write for a variety of limiting conditions). Futurists have touted the twenty-first century as the century of biology based primarily on the promise of genomics. Medical researchers aim to use variations within genes as biomarkers for diseases, personalized treatments, and drug responses. Currently, we are experiencing a genomics bubble, but with advances in understanding biological complexity and the development of enabling technologies, synthetic biology is reviving optimism in many fields, particularly medicine. Michael Brooks holds a PhD in quantum physics. He writes a weekly science column for the New Statesman, and his most recent book is The Secret Anarchy of Science. The basic idea is that we take an organism – a bacterium, say – and re-engineer its genome so that it does something different. You might, for instance, make it ingest carbon dioxide from the atmosphere, process it and excrete crude oil. That project is still under construction, but others, such as using synthesised DNA for data storage, have already been achieved. As evolution has proved, DNA is an extraordinarily stable medium that can preserve information for millions of years. In 2012, the Harvard geneticist George Church proved its potential by taking a book he had written, encoding it in a synthesised strand of DNA, and then making DNA sequencing machines read it back to him. When we first started achieving such things it was costly and time-consuming and demanded extraordinary resources, such as those available to the millionaire biologist Craig Venter. Venter’s team spent most of the past two decades and tens of millions of dollars creating the first artificial organism, nicknamed “Synthia”. Using computer programs and robots that process the necessary chemicals, the team rebuilt the genome of the bacterium Mycoplasma mycoides from scratch. They also inserted a few watermarks and puzzles into the DNA sequence, partly as an identifying measure for safety’s sake, but mostly as a publicity stunt. What they didn’t do was redesign the genome to do anything interesting. When the synthetic genome was inserted into an eviscerated bacterial cell, the new organism behaved exactly the same as its natural counterpart. Nevertheless, that Synthia, as Venter put it at the press conference to announce the research in 2010, was “the first self-replicating species we’ve had on the planet whose parent is a computer” made it a standout achievement. Today, however, we have entered another era in synthetic biology and Venter faces stiff competition. The Steve Jobs to Venter’s Bill Gates is Jef Boeke, who researches yeast genetics at New York University. Boeke wanted to redesign the yeast genome so that he could strip out various parts to see what they did. Because it took a private company a year to complete just a small part of the task, at a cost of $50,000, he realised he should go open-source. By teaching an undergraduate course on how to build a genome and teaming up with institutions all over the world, he has assembled a skilled workforce that, tinkering together, has made a synthetic chromosome for baker’s yeast. We got a crash course on genetics and protein pathways, and then set out to design and build our own pathways using both the “Genomikon: Violacein Factory” kit and Synbiota platform. With Synbiota’s software, we dragged and dropped the enzymes to create the sequence that we were then going to build out. After a process of sketching ideas, mocking up pathways, and writing hypotheses, we were ready to start building! The night stretched long, and at midnight we were forced to vacate the school. Not quite finished, we loaded our delicate bacteria, incubator, and boxes of gloves onto the bus and headed back to complete our bacterial transformation in one of our hotel rooms. Jammed in between the beds and the mini-fridge, we heat-shocked our bacteria in the hotel ice bucket. It was a surreal moment. While waiting for our bacteria, we held an “unconference” where we explored bioethics, security and risk related to synthetic biology, 3D printing on Mars, patterns in juggling (with live demonstration! ), and even did a Google Hangout with Rob Carlson. Every few hours, we would excitedly check in on our bacteria, looking for bacterial colonies and the purple hue characteristic of violacein. Most impressive was the wildly successful and seamless integration of a diverse set of people: in a matter of hours, we were transformed from individual experts and practitioners in assorted fields into cohesive and passionate teams of DIY biologists and science hackers. The ability of everyone to connect and learn was a powerful experience, and over the course of just one weekend we were able to challenge each other and grow. Returning to work on Monday, we were hungry for more. We wanted to find a way to bring the excitement and energy from the weekend into the studio and into the projects we’re working on. It struck us that there are strong parallels between design and DIYbio, and we knew there was an opportunity to bring some of the scientific approaches and curiosity into our studio. Nitric Oxide (NO) is highly regulated in the blood such that it can be released as vasodilator when needed. The importance and pathway of Nitric Oxide has been nicely reviewed by. “Discovery of NO and its effects of vascular biology”. Other articles which are good readings for the importance of NO are – a) regulation of glycolysis b) NO in cardiovascular disease c) NO and Immune responses Part I and Part II d) NO signaling pathways. The effects of NO in diseased states have been reviewed by the articles – “Crucial role of Nitric Oxide in Cancer”, “Nitric Oxide and Sepsis, Hemodynamic Collapse, and the Search for Therapeutic Options”.. (Also, please see Source for more articles on NO and its significance). Computational models are very efficient tools to understand complex reactions like NO towards physiological conditions. Among them wall shear stress is one of the major factors which is reviewed in the article – “Differential Distribution of Nitric Oxide – A 3-D Mathematical Model”. Moreover, decrease in availability of NO can lead to many complications like pulmonary hypertension. Some of the causes of decrease in NO have been identified as clinical hypertension, right ventricular overload which can lead to cardiac heart failure, low levels of zinc and high levels of cardiac necrosis. Sickle Cell disease patients, a hereditary disease, are also known to have decreased levels of NO which can become physiologically challenging. In USA alone, there are 90,000 people who are affected by Sickle cell disease. Sickle cell disease is breakage of red blood cells (RBC) membrane and resulting release of the hemoglobin (Hb) into blood plasma. This process is also known as Hemolysis. 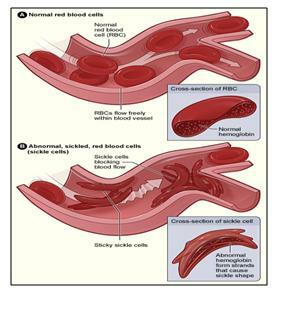 Sickle cell disease is caused by single mutation of Hb which changes RBC from round shape to sickle or crescent shapes (Figure 1). Sickle Cell RBCs has much shorter life span of 10-20 days when compared with normal RBCs 100-120 days lifespan. Shorter life span of Sickle cell disease RBC’s are compensated by bone marrow generation of new RBCs. However, many times new blood generation cannot cope with the small life span of Sickle cell RBCs and causes pathological condition of Anemia. RBCs generally breakdown and release Hbs in blood plasma after they reach their end of life span. Thus, in case of Sickle cell disease, there is more cell free Hb than normal. Furthermore, it is known that NO has a very high affinity towards Hbs, which is one of the ways free NO is regulated in blood. As a result presence of larger amounts of cell free Hb in Sickle cell disease lead to less availability of NO. However, the question remained “what is the quantitative relationship between cell free Hb and depletion of NO”. Deonikar and Kavdia (J. Appl. Physiol., 2012) addressed this question by developing a 2 dimensional Mathematical Model of a single idealized arteriole, with different layers of blood vessels diffusing nutrients to tissue layers (Figure 2: Deonikar and Kavdia Figure 1). cell free Hb in 2 dimensional representations of blood vessels. The authors used steady state partial differential equation of circular geometry to represent diffusion of NO in blood and in tissues. They used first and second order biochemical reactions to represent the reactions between NO and RBC and NO autooxidation processes. Some of their reaction model parameters were obtained from literature, rest of them were fitted to experimental results from literature. The model and its parameters are explained in the previously published paper by same authors Deonikar and Kavdia, Annals of Biomed., 2010. The authors found that the reaction rate between NO and RBC is 0.2 x 105, M-1 s-1 than 1.4 x 105, M-1 s-1 as reported before by Butler et.al., Biochim. Biophys. Acta, 1998. Their results show that even small increase in cell free Hb, 0.5uM, can decrease NO concentrations by 3-7 folds approximately (comparing Fig1(b) and 1(d) of Deonikar and Kavdia, 2012, as shown in Figure 2 of this article). Moreover, their mathematical analysis shows that the increase in diffusion resistance of NO from vascular lumen to cell free zone has no effect on NO distribution and concentration with available levels of cell free Hb. Deonikar and Kavdia’s mathematical model is a simple representation of actual physiological scenario. However, their model results show that for Sickle cell disease patients, decrease in levels of bioavailable NO is an attribute to cell free Hb, which is in abundant for these patients. Their results show that small increase by 0.5 uM in cell free Hb can cause large decrease in NO concentrations. These interesting insights from the model can help in further understanding in the context of physiological conditions, by replicating experiments in-vivo and then relating them to other known diseases of Sickle cell disease patients like Anemia, Pulmonary Hypertension. Further, drugs can be targeted towards decreasing free cell Hbs to keep balance in availability of NO, which in turn may help in other related disease like Pulmonary Hypertension of Sickle Cell disease patients. Previous model explaining mathematical representation and parameters used in the model :Deonikar and Kavdia, Annals of Biomed., 2010. Previous paper stating reaction rate of Hb and NO: Butler et.al., Biochim. Biophys. Acta, 1998. NO Nutritional remedies for hypertension and atherosclerosis. It’s 12 am: do you know where your electrons are? Clinical Trials Results for Endothelin System: Pathophysiological role in Chronic Heart Failure, Acute Coronary Syndromes and MI – Marker of Disease Severity or Genetic Determination?